When it comes to cryptocurrency exchanges, there are a plethora of options out in the market. But one must agree that not all exchanges are the same. Some may be good, some are better, while a handful of them are a nightmare. ABCC Exchange is a fast-growing exchange providing a seamless trading experience to its users. They embrace the philosophy of blockchain and focus on helping investors identify valuable blockchain assets, offering a secure online trading platform and providing professional trading services. They have yet innovated something that has made us look at them with fresh eyes. This time they have come up with new user-centric rewards and enhanced experiences such as AT tokens (their native token), trade-to-mine scheme, and extremely user-friendly desktop and mobile interfaces. Let’s get into them one at a time to see how as a user of this exchange you can benefit in your crypto trading journey. What Is ABCC Token (AT Token)? ABCC Token (AT) is the native token of the ABCC Exchange. As a key component of its digital asset ecosystem, AT plays a critical role in building consensus and creating and sharing value in the community. ABCC exchange launched its native AT token on 5th July 2018, to distribute value to its users and grow together with them. For this, the AT token which is also an ERC20 token, a total limited supply of 210 million inspired by Bitcoin is conceived. The idea is to stimulate a similar kind of incentive creation and distribution as one sees in Bitcoin. In short, as long as you trade on ABCC, you mine AT token automatically and will also receive rewards for holding those AT tokens. Some might be baffled at the word ‘mine’, but wait, I am going to explain that in the next section. What Is Trade-To-Mine & How You Can Benefit From It? Mining cryptocurrencies, especially Bitcoin, is not an easy task, but trading crypto is easy. That’s why, following the Bitcoin mining model, ABCC has adopted a similar inflation model for AT tokens which might give you the feeling of mining while trading. 40% of the total supply of AT will be used to reward members who trade on ABCC exchange platform via the “Trade-to-Mine” (ToM) mechanism. 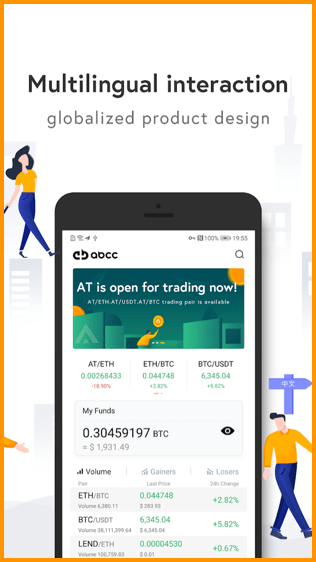 In particular, the ToM mechanism includes two steps, i.e., “release” and “distribution”, the exact details of which are here, but in short, it means you will be rewarded in AT-tokens for trading on ABCC exchange. So you see, if you are an AT token holder and a trader on ABCC exchange you enjoy the two-fold benefit of holding AT token as well as can mine more AT tokens by using “Trade-to-Mine” (ToM) mechanism. The difference between AT and other Trading-Mining platform tokens lies in the model. AT follows half-life cycle, i.e. every 120 days AT will be reduced by half. There are 6 cycles in total. Each block releases a fixed number of AT, which avoids the inflation of the platform tokens as other competitors, who had to stop the Trading-Mining because of the accelerated release. 1. Better user experience as an experienced team is working on UI and UX best practices. 3. Better service experience with user-oriented customer service where support is provided in over 11 languages. 4. 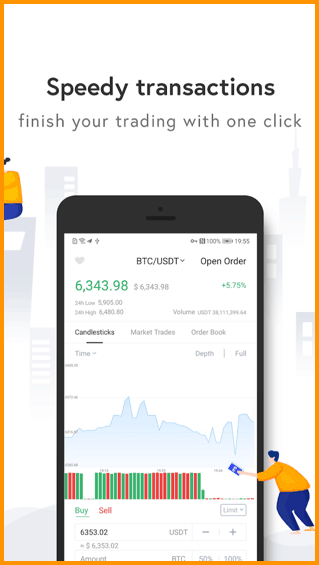 Enhanced Mobile App experience for users who like to trade on the move. For such users, robust and user-friendly Android and iOS apps are available. For people who don’t have the time to stick to their PC for hours, mobile apps are the best solution to be on top of their crypto strategy. Note: Here is their DIY guide to help you install their mobile apps- ABCC step-by-step installing guide. What’s Next For ABCC & You? Lastly, this exchange looks eager to expand soon and is aggressively announcing innovative campaigns and airdrops such as Trading Competition: Win 2018 Tesla Model X 100D, ABCC Airdrops 3,000QTUM, Deposit to Win – Rewards capped at 100,000USDT and Super Friday Jackpot on Twitter.